Fantastic move-in ready home in a PRIME location! Original owner just did many new updates including full fresh interior paint, brand new carpet and landscaping. Smart open floor plan! Hardwood floors, vaulted ceilings, ample kitchen storage and tons of natural light! All bedrooms on second level. Walk-in closet in master suite. Enjoy a short walk to Town Center Park, schools, library, King Soopers, GVR Beer Garden, restaurants and more! 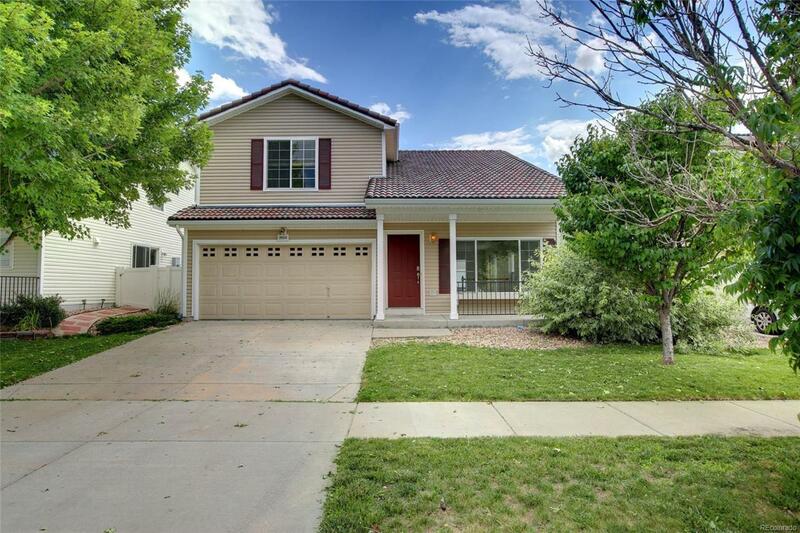 Great location near Light Rail to DIA or Downtown Denver, E-470 and I-70. Don't miss this one! 3rd bedrooms currently set up as loft. Offered by Kentwood Real Estate City Properties.